Get our soft flexible Glitter iPhone Case. Glam up for phone with our Super Sparkle Glitter iPhone case for iPhone 6 / 6s, 6 Plus / 6 Plus s. It is not just awesome for self use, it is a Great Gift Idea for birthdays, anniversaries, wedding, Christmas and other special occasions. It is a soft case so it is easy to slip on and off. It fits snug on your phone to protect the body. It is absolutely gorgeous on. Great for those who want to spice up their iPhone. Wait till you see how your phone looks when it hits the light. Want a new phone color every month? 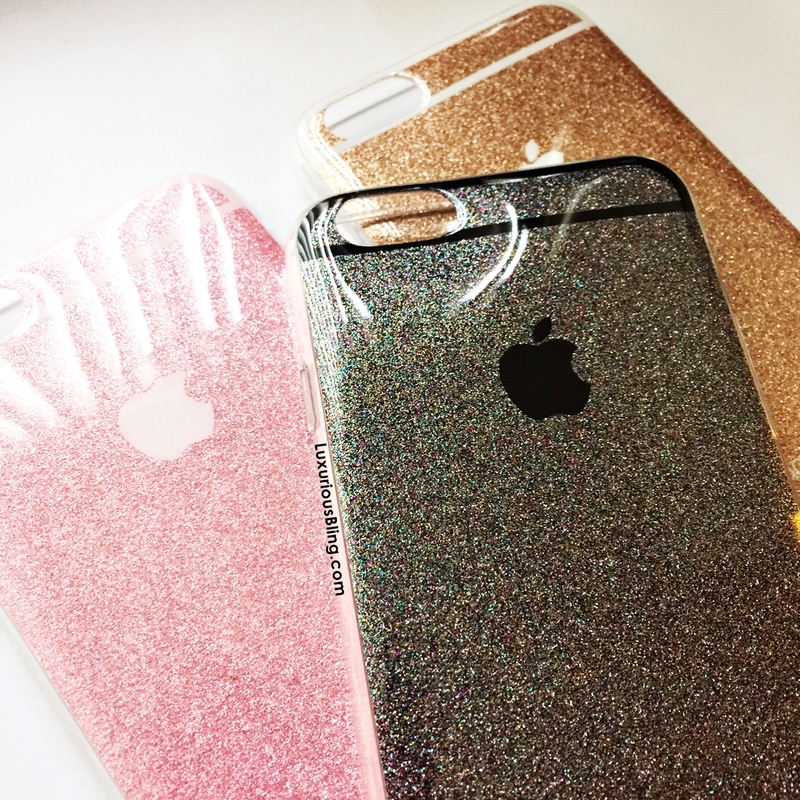 The Glitter iPhone Case comes in different colors.